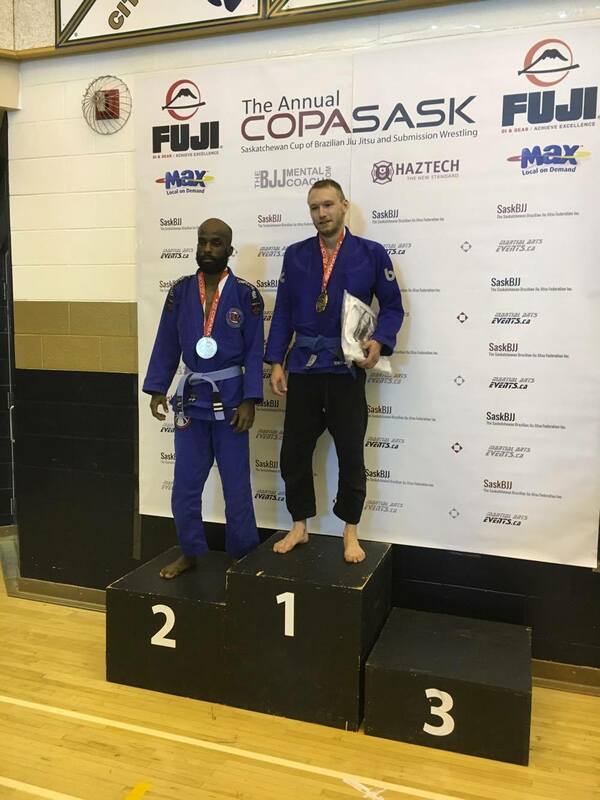 Copa Sask has been Saskatchewan's longest running Brazilian Jiu Jitsu tournament and our club put on a great show with sixteen competitors entering on it's 10th year of operation. 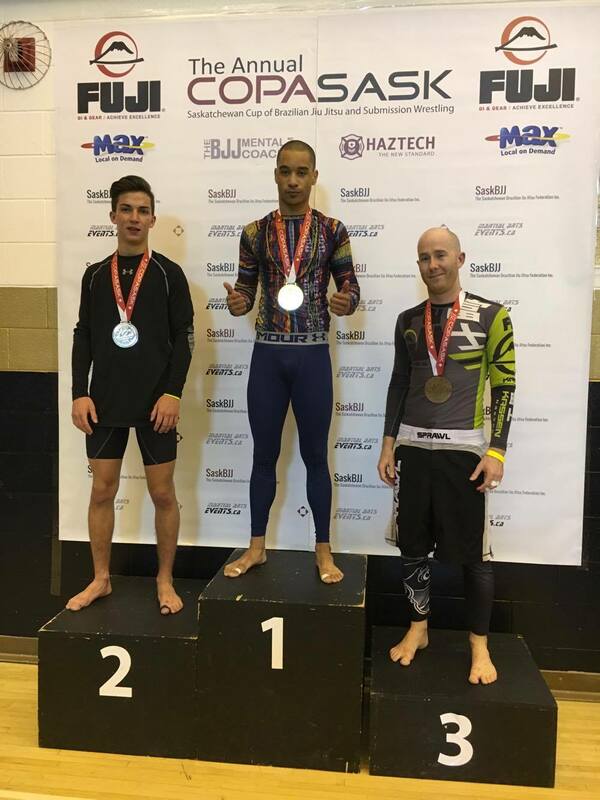 Congratulations to everyone who stepped onto the mats to compete and an extra congratulations to all of those who made the podium. The coaches and students are all proud of everyone's performance. 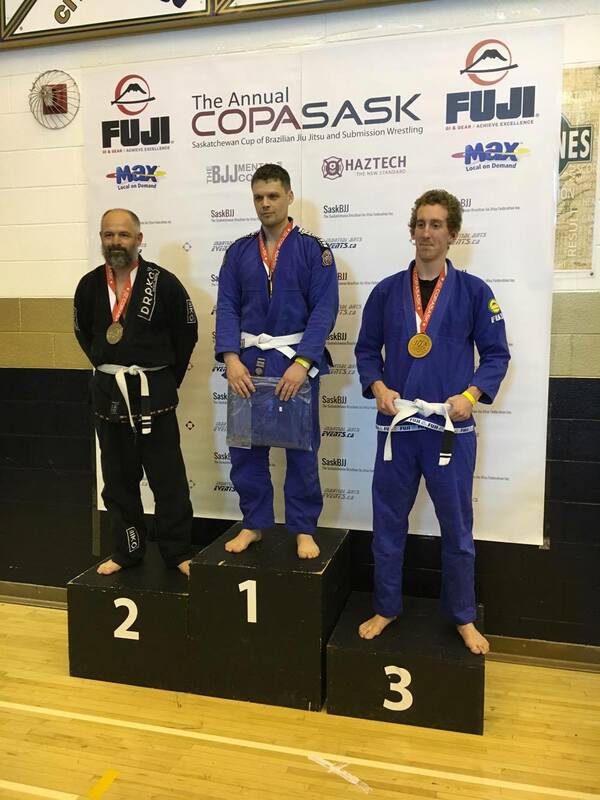 Colton took first in the gi after two matches with a very game and technical opponent. Berlynn and Camryn take second and third with a great showing. Hudson places third in a stacked bracket. 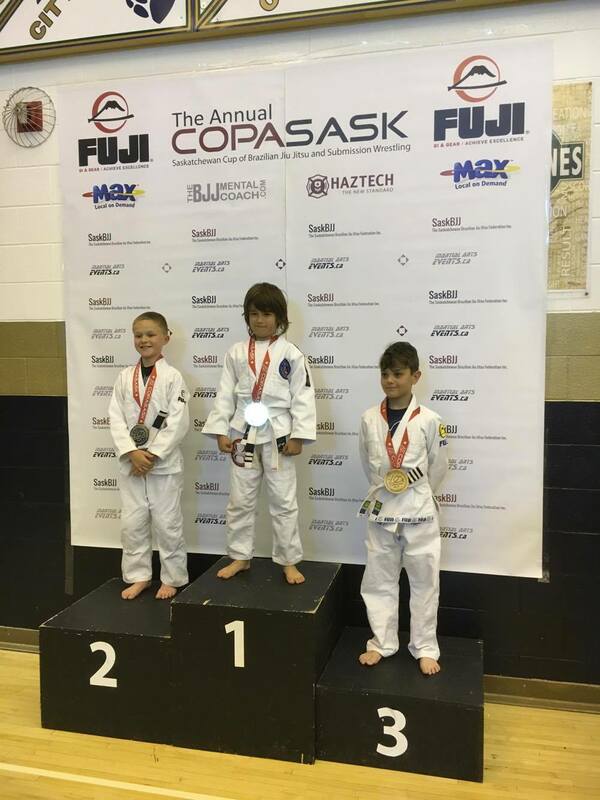 Group photo with Mello who took third place in the gi.